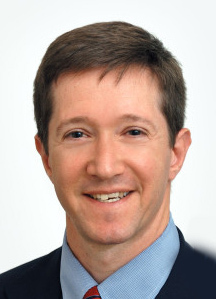 Dr Samuel Frank is a neurologist in Boston, US, and is affiliated with the Beth Israel Deaconess Medical Center. He received his medical degree from Boston University School of Medicine. He specialises in Parkinson’s disease, Huntington’s disease, dystonia and other movement disorders. In the latest Portland Countdown podcast, regular hosts Dave Iverson and Jon Palfreman invite guest neurologist Dr Sam Frank to discuss the impact of the most common sleep issues in Parkinson’s and what can be done to treat them. While Parkinson’s symptoms can vary greatly from one individual to another, a common denominator for almost anyone with the condition is trouble sleeping. A recent global study revealed sleep as the number one factor affecting the health and wellbeing of people with Parkinson’s. From the inability to sleep through the night, to difficulty returning to sleep after awakening, sleep problems are all too common with Parkinson’s. Perhaps you’re even reading this because you can’t fall asleep. Yet disrupted sleep may also be an early warning sign of the disease. What can sleep tells us about the disease and what can we do to make sleeplessness less of a burden for those living with Parkinson’s?